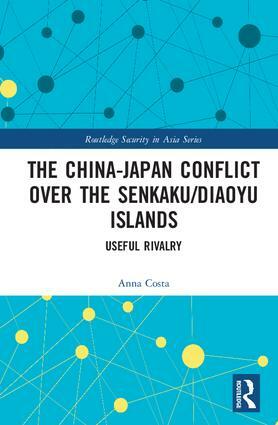 This book examines the foreign and security policies adopted by China and Japan since the 1970s in their competition over the Senkaku/Diaoyu Islands in the East China Sea. It charts the development of a dispute that has become a potential flashpoint for conflict between the two countries. The book explains that while increasing nationalism in both China and Japan helps to fuel and sustain the dispute, a key factor is that the leaderships in both countries find competition over the islands to be a convenient vehicle supporting their wider approach to foreign and security policy, which is becoming increasingly assertive and potentially belligerent. 1970s—Scrambling for oil or global recognition? Anna Costa completed her doctorate at the University of Hong Kong. Her research centres on the contemporary international relations of East Asia. She is an Honorary Assistant Professor of the School of Modern Languages and Cultures, Department of Modern China Studies, of The University of Hong Kong.